Not the usual beauty salon, Heler offers exclusive and carefully-crafted lifestyle solutions that cater to individuals with considerable purchasing power. 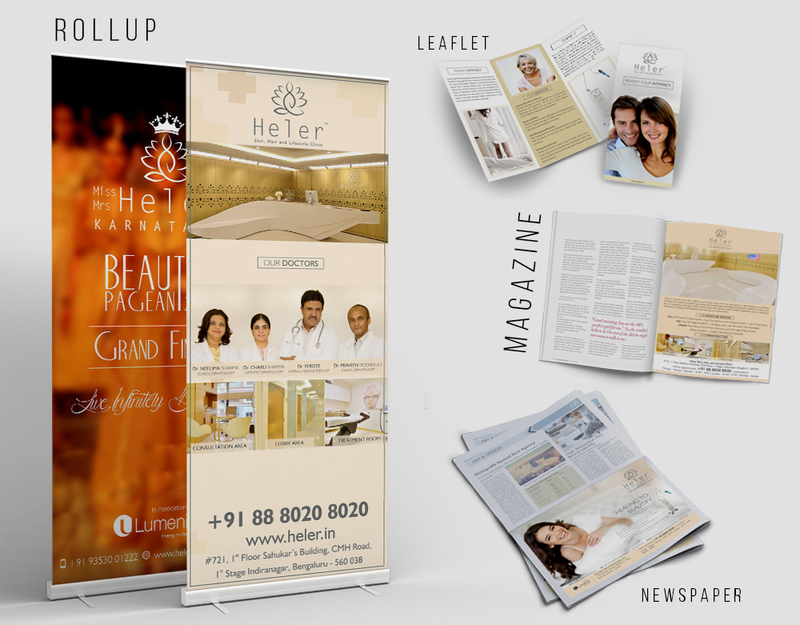 Heler needed a strategic partner who would come up with innovative ways to penetrate a fairly saturated market. It has five competitors or more within a two kilometer radius itself. Brand differentiation was always going to be key. In order to thrive in this hyper-competitive landscape, Heler needed to establish a unique identity and stand out among the crowd. We understood that in order to penetrate a highly saturated market, we would need to launch Heler in a manner that made maximum impact, and that’s exactly what we did. We organized a beauty pageant on launch day, attended by renowned medical and beauty experts who were also judges for the evening. We leveraged the ‘medically-driven’ aspect of Heler as a key differentiator, which would showcase their products in a much more credible light, being clinically-proven and backed by medical experts. We also suggested that Heler conduct free treatment for acid attack victims and prove that there are viable medical solutions for one of the country’s worst epidemics. The brand launch was a resounding success that made a lot of buzz on social media. We achieved the desired visibility on launch day through the various events organized and the personalities that were present. We placed Heler on a different pedestal by leveraging the ‘medically-driven, clinically-proven’ aspect of their products and solutions, as opposed to generic beauty salons. Our strategic marketing tactics played a key role in differentiation. The free treatment provided to acid attack victims was adjudged to be a notable effort that brought some relief to dejected victims, and Heler continues to fight for their cause. All in all, Heler made its mark with a bang and got off to a flying start.